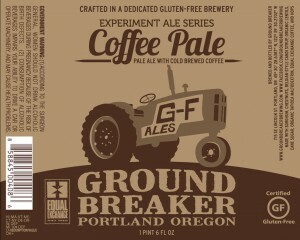 Ground Breaker Brewing is pleased to announce the release of their Spring seasonal, Coffee Pale Ale. To create this beer Ground Breaker started with their award-winning Pale Ale and then added cold-brewed coffee from Equal Exchange rather than the typical dry-hops. Coffee Pale Ale comes in at 30 IBU and 5.5% ABV. For the release Ground Breaker will be offering a flight that includes three pub only beers. The second beer in the flight is Vanilla Cream Coffee Pale Ale, a small batch of Coffee Pale Ale that has vanilla beans and milk sugar. The final two beers in the flight are brewed with teas from The Jasmine Pearl Tea Company. Dancing Dragon Pale Ale uses a puerh tea blended with sarsaparilla, roasted yerba mate, and honeybush. Ruby Nectar Pale Ale uses an herbal tea that is a blend of organic greenbush, organic hibiscus, organic peppercorns, bee pollen, natural flavor, grapefruit essential oil, and stevia. Coffee Pale Ale will be released at The Ground Breaker Gastropub during an event with Equal Exchange on January 15th from 5 pm until 8 pm. Equal Exchange will be providing chocolate to taste with the Coffee Pale Ale flight. Equal Exchange, a pioneer in Fair Trade since 1986, is a full service provider of high quality, organic coffee, tea, chocolate and other foods to customers across the United States. 100% of Equal Exchange products are fairly traded, benefiting more than 75 small farmer co-operatives in 40 countries around the world. Beans for this Coffee Pale Ale come from Peru, where Equal Exchange has partnered with Cooperativa Nor Andino for nearly 15 years. Since 2004 The Jasmine Pearl Tea Company has been importing and handcrafting specialty loose-leaf tea blends in Portland, Oregon. Their specialty is providing the highest quality teas and herbal tisanes to gourmet retailers, restaurants, spas and individuals. Most of their teas are harvested and blended in small quantities, which allows them to share the freshest rare and seasonal teas. The Jasmine Pearl Tea Tasting Room is located at 724 NE 22nd Avenue, Portland, Oregon. New Cascadia is taking holiday orders! Here is a cut and paste from their website. 1700 SE 6th Avenue at SE Market (two blocks South of Hawthorne). – Items on our Holiday menu are available for special order pick-up from Friday, December 12 through Wednesday, December 24. – All orders must be placed 48-hours in advance—no exceptions! – Cake orders will be closed from Saturday, December 20th through Sunday, December 28th. Apologies in advance for any inconvenience! – We will have holiday items available in the café through the month of December, but we STRONGLY RECOMMEND placing your order in advance! – Full payment is required in advance to secure order. – To place an order please come by the café or call us at 503-546-4901. No email/voicemail orders, please! 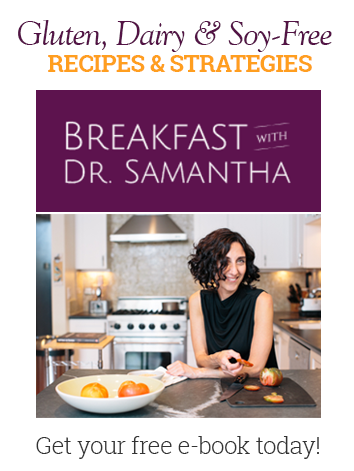 I have several patients who have asked me about what to do for a gluten-free thanksgiving. With all of the gluten-free products out there, it’s getting easier and easier. That said, you also have to be more careful if you can’t tolerate cross contamination if you’re eating at a restaurant or buying pre-made food somewhere. I went to New Seasons last night after chatting with Christi Reed (one of their nutritionists) last week about what is available there. Hazlenut and Honey Roasted Acorn Squash. Stuffing with Happy Campers Burly Bird Stuffing. Cauliflower Mashed Potatoes with GF Gravy. I also had to pick up the “Rice Nog” I’m half intrigued, half horrified I did that. I’ll let you know how it goes. GFP: Why is it important for new seasons to support its GF shoppers? NSM: New Seasons Market takes pride in being the friendliest store in town. This carries over to accommodating individuals with varying dietary needs. We continue to offer FREE GF store tours highlighting the numerous GF options available as well as sampling items customers may not have tried previously. GFP: Do you have more gluten-free options this year than you have in years past? NSM: The amount of GF products available continues to grow. Each year we see more and more holiday options available. Three years ago, we struggled to find a gluten-free stuffing mix. This year we have 5 different options for our customers. We have also increased the number of premade items that are made with gluten-free ingredients on our holiday menu. As well as, additional options for special order from our pastry department. GFP: Can you order a gluten-free Thanksgiving to go? Is there any concern about cross contamination? NSM: Yes, you can. Unfortunately, our kitchens are not dedicated gluten-free facilities (disclaimer can be found on our holiday menu) so there is a risk of cross contamination. Here is a link for NEW SEASONS MARKET THANKSGIVING ORDER PAGE! In our home collectively we have dairy, gluten, soy, and brown rice sensitivities and allergies. To find a cookie we can all eat makes for a happy mama over here. They are actually entirely grain-free, for those avoiding grains entirely. We brought them home and each had one. I’m more of a crunchy cookie fan but I thought these were great regardless. Sweetened with maple syrup I found them not too sweet but sweet enough that it was cookie not biscuit. I thought the syrup added a nice balance to the almonds. My 8-year-old thought they were delicious, not too sweet, but sweet enough. He said he’d be happy to take them to school for a treat when the other kids have cookies for a birthday party ‘or something.’ That’s a big win. Overall, I’m a yes yes on these cookies. Not cheap, but you get what you pay for! Oh regarding cross contamination the kitchen isn’t certified or GF but they are bringing their own equipment which is all dedicated GF, and all ingredients are sourced GF. 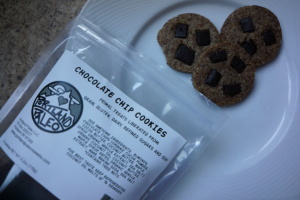 You can find them at People’s coop in SE PDX, several New Seasons stores, and Cultured Caveman in N PDX. The site says that at CC they have them as ice cream sandwiches. DAIRY FREE! Whaaaaaa?! I think I know where I”m headed for dinner this weekend! 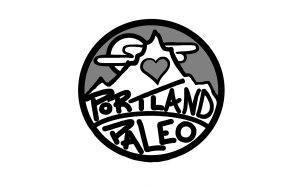 My husband is an architect and has been working in Portland for 20 years. About a year ago he had a project over on MLK and Killingsworth. This project was awesome. I have no idea what was being built but at least a few times a week he came home with a smile, and a gluten-free vegan sea salt chocolate chip cookie from Tula Bakery just a few blocks away (on MLK and Alberta.) I’m not a sweets person in general but let me tell you that these cookies blew me away. 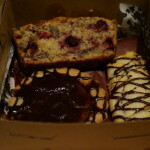 When I got an email last week from Tula’s PR maven Lisa Hill to let me know there were some special holiday goodies on the menu I jumped at the chance to try them. And they did not disappoint! 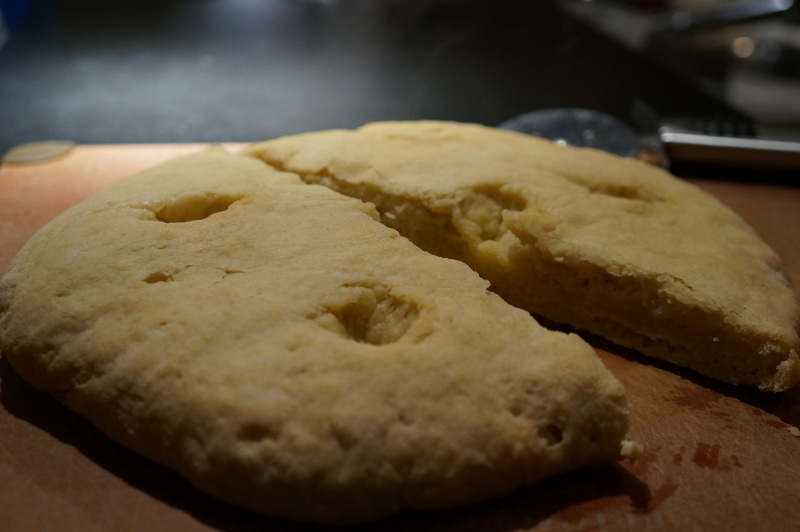 We started with the par-baked focaccia bread which I was thrilled to see didn’t contain rice (my little one has an allergy to brown rice). 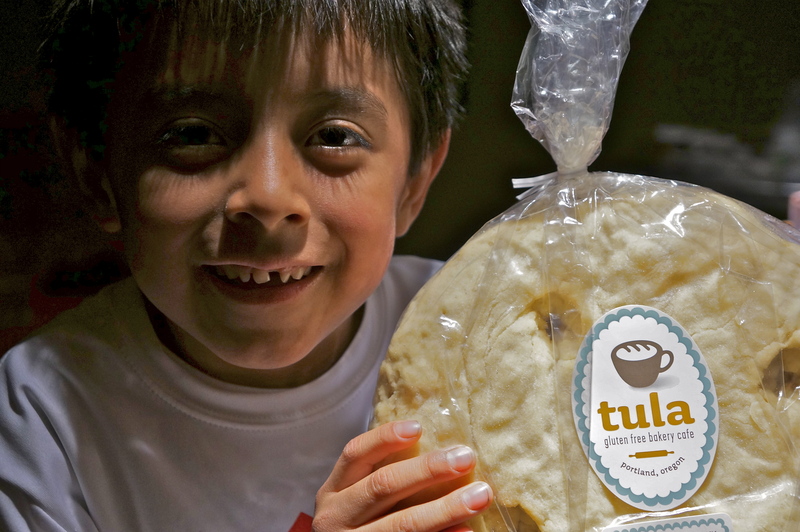 Ingredients include millet flour, sorghum flour, potato starch, tapioca starch, water, agave syrup, yeast, xanthan gum, sea salt, and olive oil. We basted it with a little more olive oil halfway through the bake and polished the entire thing off between the 3 of us. Smothered with butter Soy-free Earth Balance and drizzled with honey, it was absolutely divine. The rest of the treats my husband loved but as I mentioned I’m not the biggest sweets fan so after his thumbs up across the board, I loaded them up and trucked over to my girlfriend’s house down the street. She bakes, and loves sweets, so I felt she would be the perfect taste tester. 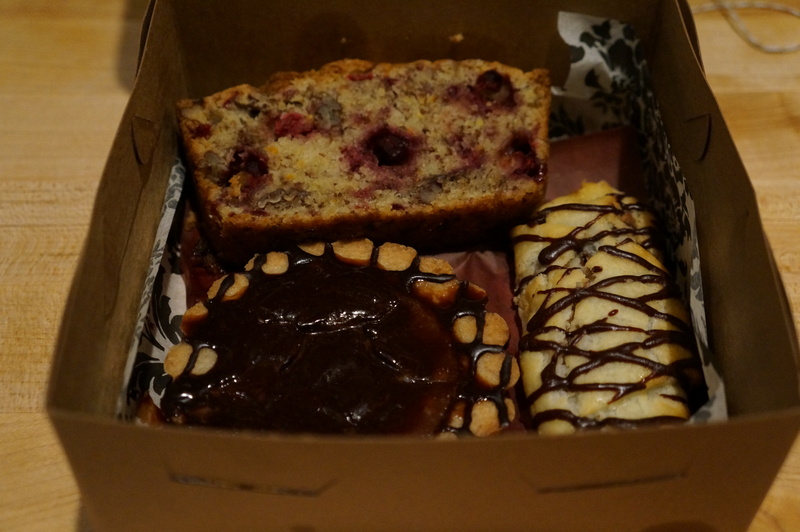 We had samples of the cranberry pecan bread, the chocolate pomegranate tart, and a chocolate hazelnut roll. She thought they were all top quality baked goods, period. Her husband came home and we let him dig in and finish them off. I hate the cliché of ‘good for gluten-free.’ But the look of surprise on his face when we told him, and his response (mouth still full) “That’s pretty damn good for gluten-free food.” had to be shared because it means you don’t need to give a second thought to feeding any of this to your most discerning, foodie, nose-in-the-air, ‘gluten-free is a fad’ relatives, colleagues, or friends over the holidays. It’s just great food, period. Here is a link to the holiday order form, and a link to their site. Go get it! 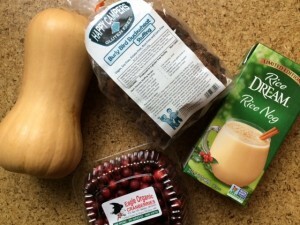 New Cascadia Traditional- Gluten-free Holiday Menu Tasting! 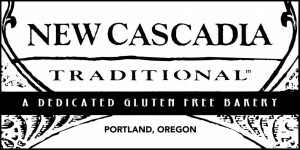 New Cascadia is doing Holiday Tastings on Thursday Dec 12th and Thursday December 19th to preview their holiday menu! 11 am until supplies last. Here is a snippet from their newsletter about what they’ve got for you! We will have rolls and stuffing mix, too! 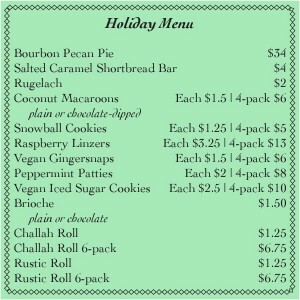 Holiday menu available on their site, and you can order through Sat Dec 21st! will be Saturday, December 21st! Do you know about Happy Campers? 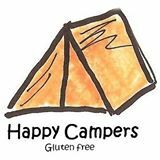 No, not your average happy-go-lucky Joe, the Happy Camper, the gluten-free bread company, Happy Campers! I was first introduced to their bread last year at the GIG fair in PDX. It was great. And the guys at the table were super nice. (I’m always a fan of supporting local companies owned and run by nice humans.) In our home, Happy Campers bread is a staple. As in we buy at least a loaf a week, sometimes two. We eat it all the time not only because it’s good, but also because it is whole grain and higher in fiber than most gluten-free breads. Then, a month ago they just went and changed up their recipes. If you’re like me when a product you love announces a big reveal about a recipe change you worry. So when I heard, I worried. Was I going to have to find a new brand? I’ve tried everything and although there are some fabulous GF bread companies in PDX (how lucky are we?!) none of them are particularly high in fiber, which I insist on for my child who eats bread daily. Thankfully, it turns out I had nothing to worry about. 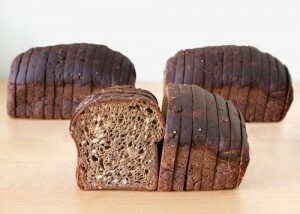 Not only are the new loaves delicious (I got to try them all at the GIG fair,) they also have 5-6 g of fiber per slice! That’s more than in most whole wheat or sprouted grain breads. And did I say it’s good? It is. Really good. It tastes, well, like bread should. Moist but not soggy. Chewy. Hearty. Just right. 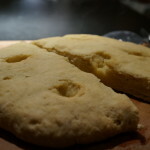 Here is their blog post about the revamped recipes.